Grab a cup of hot chocolate and embrace the snow and cold for inspiration. We have five inches of snow and ice in Ohio, today. Write a story using the elements as your setting. The wind is howling like the swirling storm inside. . . According to Rebecca McClanahan’s "Word Painting," setting includes time and place, as well as the accoutrements therein such as a waterfall in a jungle or clock ticking by a bed (McClanahan, 171). Emily Jenkins uses lyrical language and the snowy setting to help Plastic ( the Red Ball) change from being bookish to becoming poetic. When asked what snow is Sting Ray says, "It's a blanket of peace over the world." "No, it's frozen water," says Plastic. "I read it in a book." Salina Yoon tells a tale of friendship. Penguin wants to know whats wrong with his friend. and strong on the ice." 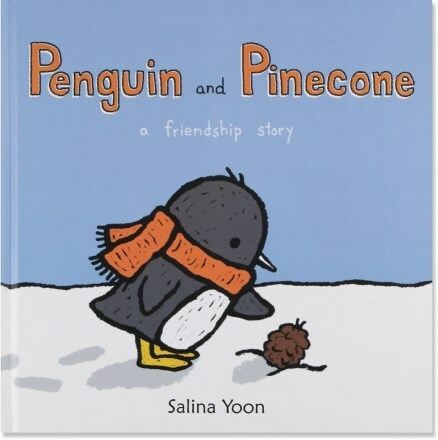 What are your favorite mentor texts that use snow and ice as the setting. Please share in the comments. Stay warm and write your snowy story. Of course, THE SNOWY DAY. But I also like SAMSON IN THE SNOW by Philip Stead, and John Rocco's BLIZZARD. Being in Las Vegas where I am still wearing shorts and flip-flops, I can use all the wintry inspiration I can get. Hi David, Would be happy to send you a box of snow. I need to look up Samson in the Snow. Thanks. From where I sit at my desk in Edmonton, Alberta, I see the snow covered ground from my view through my window. I really like Susan Jeffers beautiful illustrations in Stopping by Woods on Snowy Evening by Robert Frost. I love Susan Jeffers art work! Thanks for the great suggestions. I always enjoy Jan Brett. Stay warm and happy writing, Charlotte. BEST IN SNOW by April Pulley Sayre! 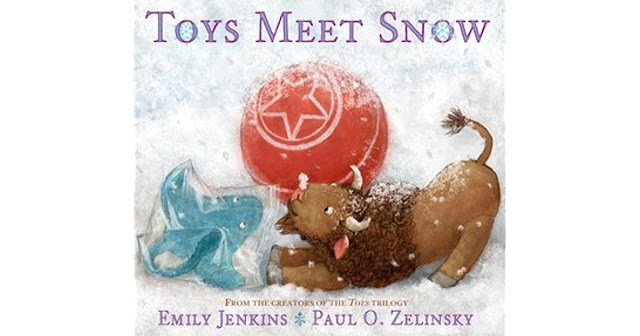 I read TOYS MEET SNOW with kids last week too. I also love TEN ON THE SLED by Kim Norman and IF IT'S SNOWY AND YOU KNOW IT, CLAP YOUR PAWS also by Kim Norman. Hi Marcie, I will have to check out Kim's books. Of course I love THE SNOWY DAY, but also THE MITTEN, THE BIGGEST, BEST SNOWMAN (Hmm, I might have that wrong for the title), oohhhh, I can't think of the names! I LOVE snow books. Angie, I used to use a sleeping bag for a mitten. The "animals" would sit around the edges with their feet in the bag/mitten, when we acted out the story in class. It was fascinating that without prompting, every time the mitten would pop, someone would somersault out of the bag. Yeah, Laura congrats on your new book baby! I agree that OVER AND UNDER THE SNOW and SNOWY DAY are both fabulous snowy day reads. Thanks for the post!